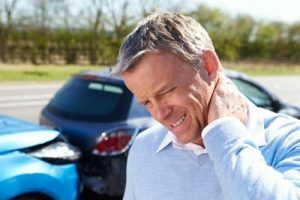 Auto injuries don’t always heal immediately or properly. Depending on the nature of the crash, a victim can suffer from torn ligaments, whiplash, compacted vertebrae, and even damaged nerves. The pain may not present for months and can last for a lifetime without treatment. 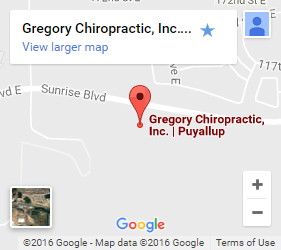 As an auto injury chiropractor in Graham, WA, Dr. Bob Gregory puts his skills and training to work in order to heal damage and pain caused by fresh and pre-existing injuries. If you have any of the following symptoms, contact Gregory Chiropractic now. Soft tissue is one of the most common damage areas after a car crash. Soft tissue makes up many important areas of the body like muscles, tendons, ligaments, spinal discs and more. Inflammation and spinal compression can affect the nervous system as well. Scar tissue can also form and cause lasting pain and reduced mobility. Find relief with chiropractic care for your auto injury. Dr. Bob Gregory uses a variety of different therapy modalities depending on his Graham, WA patients needs. Symptoms don’t exist in a bubble. In order to truly treat your pain, its root cause must be identified and treated. We perform a complete intake and health history of every patient. Additional testing may be required. The goal is to identify and eliminate contributing factors and pinpoint what the actual cause of your pain is. We don’t want to mask it, we want to treat it. Spinal Manipulation – This helps reduce pain and restore a complete range of motion by re-positioning the spinal vertebrae. Improperly aligned vertebrae can compress nerves. Correcting these imbalances can alleviate a variety of symptoms. Stretch and ROM exercises – Strengthening muscles using manual stretches and range of motion exercises can provide long-term relief. Scar tissue and damage can weaken muscle groups causing compounding problems. We’ll help you target and reinforce the right areas. Trigger Point and Massage Therapy – Our massage therapists have the skills and training to perform a number of different therapeutic techniques. Trigger areas can affect the whole body. Targeting these points can cause a cascade of pain relief. Massage is also used to break up scar tissue that can affect the nervous system and constrict muscles. Whether you’ve been in pain for years or recently suffered from a car related injury, relief is possible. Call or contact us today to learn more about our services, schedule your intake visit, and begin your journey to recovery.